1841 6 pounder gun used at the beginning of the war. I am a big Civil War buff and always jump at the chance to visit pretty much any attraction focusing on the war. While researching our Kenosha trip, I immediately placed The Civil War Museum on my list. What a wise choice I made! 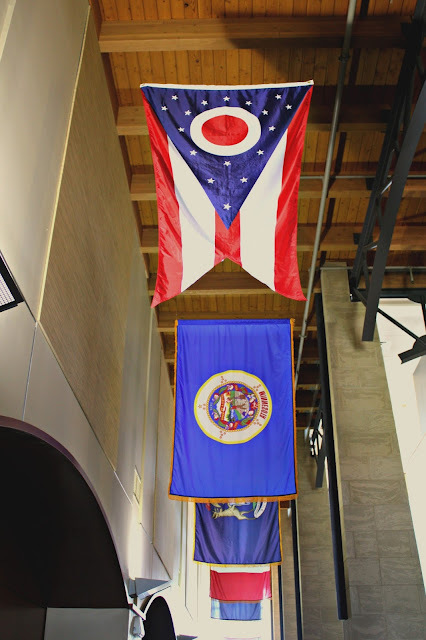 The museum really reflects the experience of the Midwest during the conflict shedding light on what people living our region encountered--something you don't really learn about when visiting the battlefields. 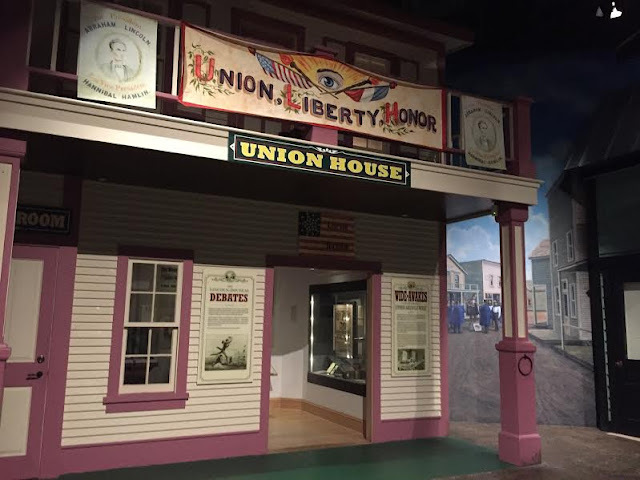 The museum consists of a poignant memorial to all of our soldiers reflecting on each conflict, the Fiery Trial Exhibit, the temporary Faces of the Iron Brigade: A Social Network of Soldiers Exhibit and the Resource Center. The memorial movingly reflects on each conflict by including a representative soldier and artifacts from each. News of the coming Civil War! The Fiery Trial Exhibit is the most extensive in the museum. The exhibit blends together artifacts, life-size depictions and multimedia experiences to bring the alive the lives of Midwesterners in the war and on the home front. 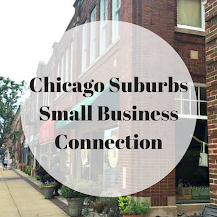 In one of the opening sections, we found ourselves in an old town reading news snippets about the coming war and its effects on the Midwest markets. So many of the exhibits jump out and grab you. One that particularly engaged my daughter brought to life a train ride for a soldier going off to war. 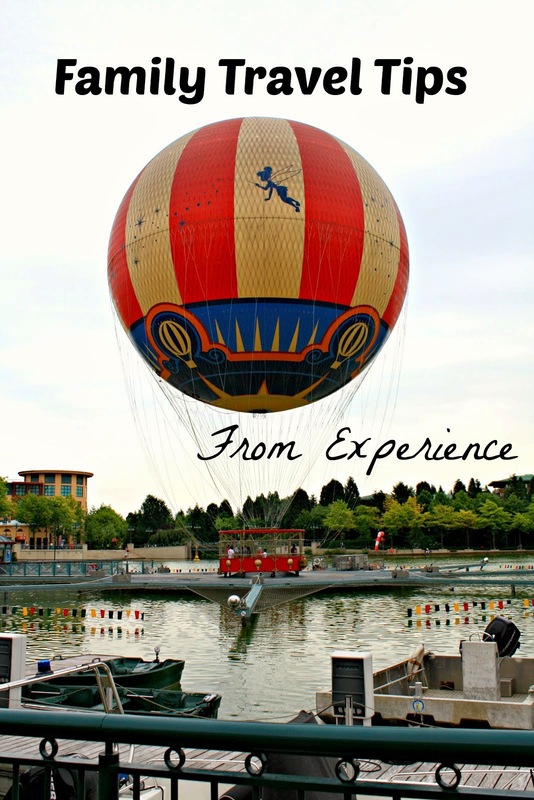 The train seems simple enough but kids really love the opportunity to be part of the action! 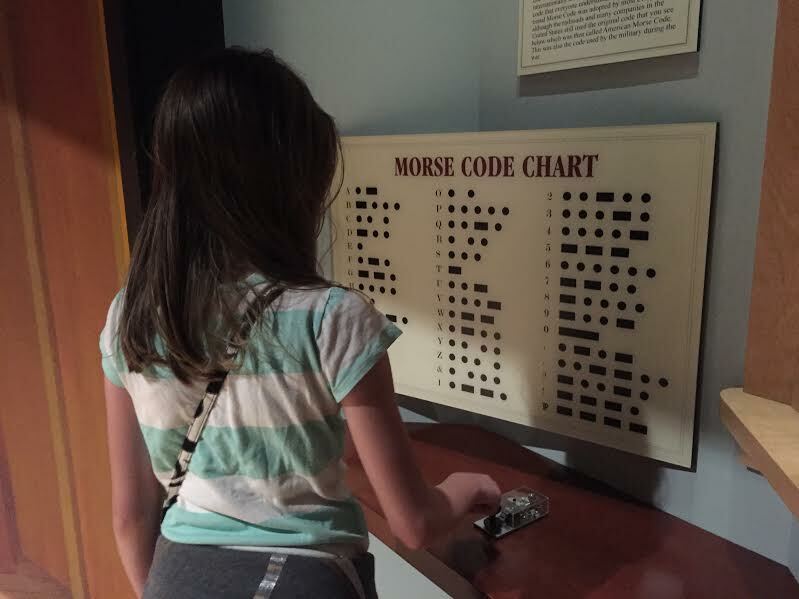 My daughter also loved trying her hand at Morse Code. Totally fun! 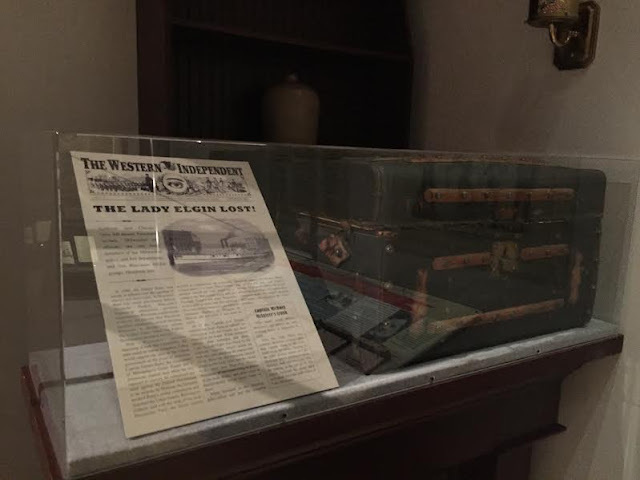 Trunk from the Lady Elgin which sunk near Chicago. 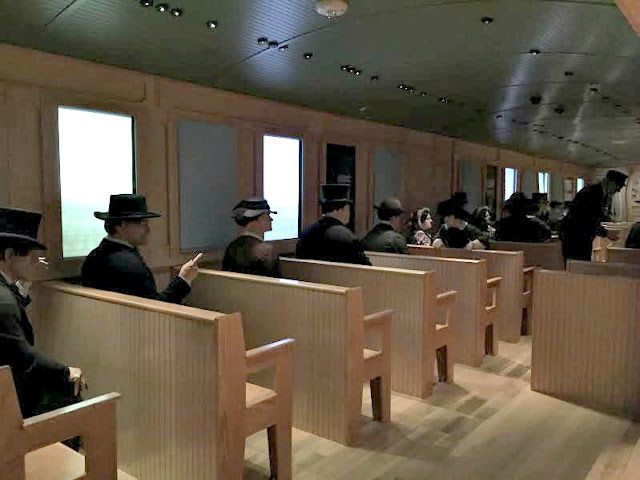 Artifacts threaded throughout intrigue visitors, tie in war stories and add a personal touch. The trunk below is from the Lady Elgin which sunk carrying Milwaukee's Union Guard to hear a speech by Stephen A. Douglas. The ship sunk near Chicago with many lives lost. This particular artifact piqued my interest because I had never heard of the Lady Elgin before. Samples of the ores mined in the Midwest. When thinking about the war, one often fixates on the battles waged thereby neglecting study of other efforts. 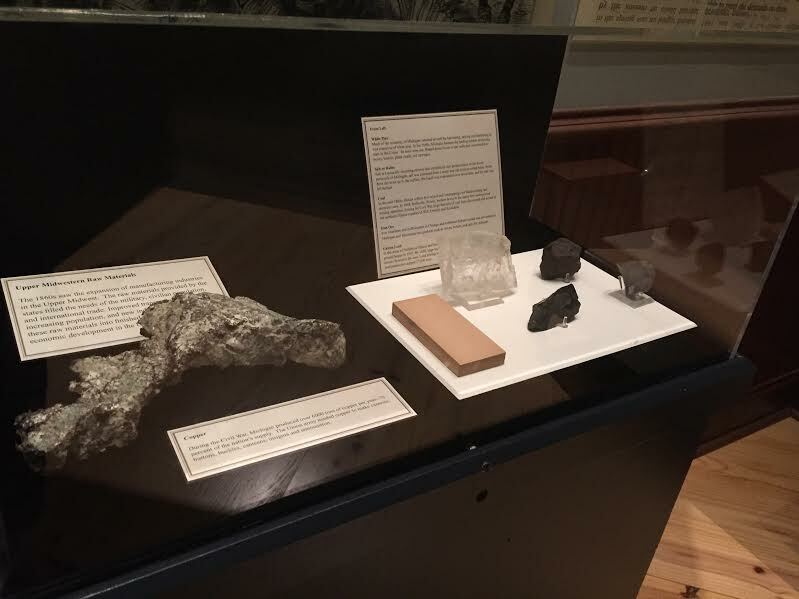 During my visit to the museum, I learned about the ores the Midwest mined to support the effort including copper used for cannons, belt buckles, canteens and more. A interesting piece of history! 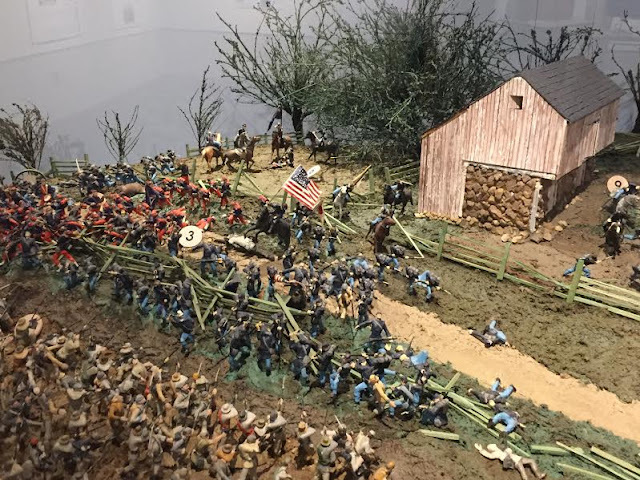 The museum depicted some battle and camp scenes. However, nothing was graphic so parents can feel at ease! My favorite, of course, is the diorama of Gettysburg. Fiery Trial also contains Seeing the Elephant, a dynamic 10-minute 360 degree movie depicting the war through the eyes of three Midwest soldiers. Pretty fun! The theatre also houses artifacts from each Midwestern state. So, take some time to peruse. The story of the Iron Brigade in Social Media. Faces of the Iron Brigade: A Social Network of Soldiers is a temporary exhibit bringing Civil War era correspondence into the modern age. 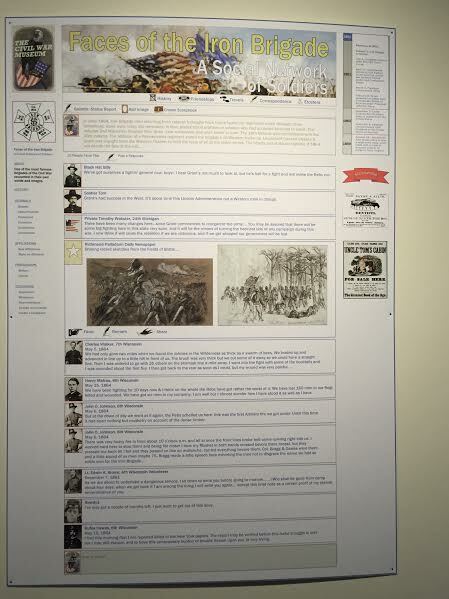 The story of the Iron Brigade is told through a social network, artifacts and interactive section where you can learn the history of the unit you are interested in. 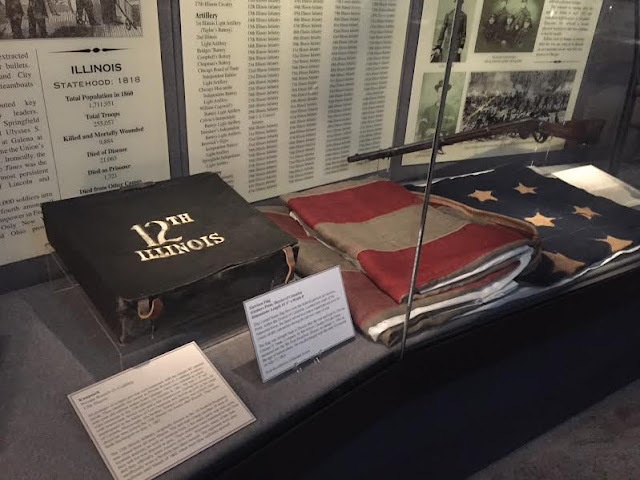 The tale of the Iron Brigade is spliced together from diary entries and letters. 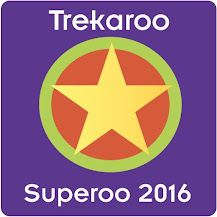 A neat exhibit open until November 1, 2016. Image of the Resource Center via The Civil War Museum. Don't skip over the Resource Center during your visit! 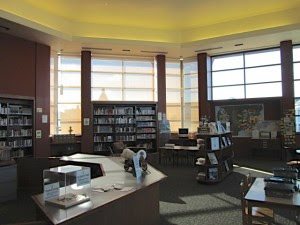 The center features a huge library of books and other media for research. Kids may enjoy trying on period-type clothing. 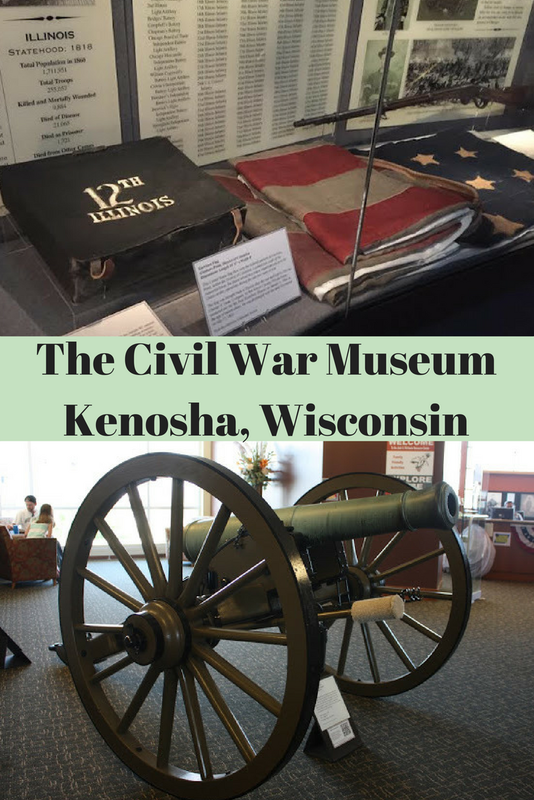 Other engaging and educational elements include measuring yourself up to Lincoln's height, placing Civil War sites you have visited on a map and more. As you can see, The Civil War Museum provides an engaging and educational visit. Perfect for families! We were very impressed with the depth of knowledge, quality of artifacts and areas for kids to have hands-on exploration! Very cool! I'm a closet history nerd, so these kind of places are awesome to me! 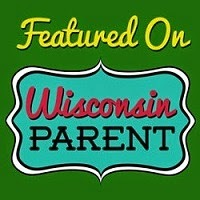 We have been saying that we would head over to Wisconsin on a little getaway but we haven't planned anything. This has to be added to the list.